Izy’s book came in the mail a few weeks ago, and we sat down to look at it together. I spent a little extra time bragging about Izy (She was in high school when she wrote this book! She’s only 18! I met her and she is as lovely as you’d think she is! Aren’t her photographs beautiful?!) to my daughter, and then we decided what to make first. 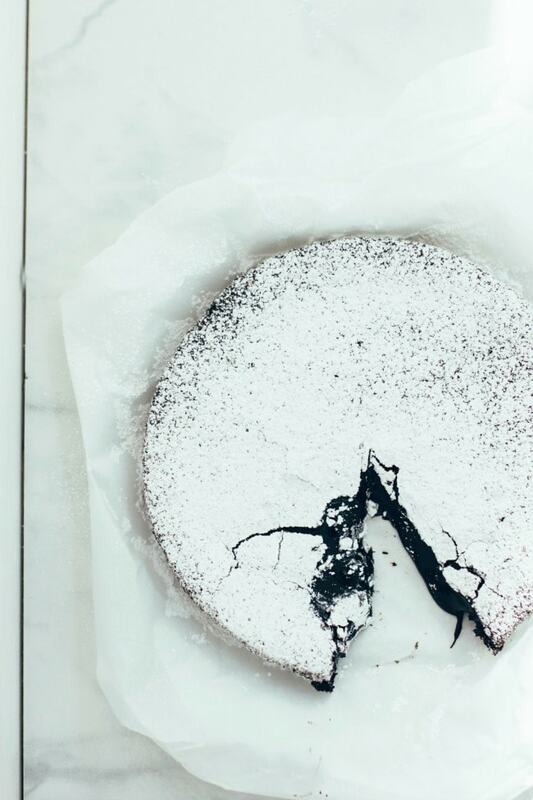 [W] was excited about almost every recipe and picture, but we settled on this dangerous, one-pot wonder chocolate cake. We weren’t disappointed. I have my next column from the Blue Heron Coffeehouse up on Food 52. I also have Crock Pot Cinnamon Rolls on Bread in 5. You can snicker, but they were delicious. 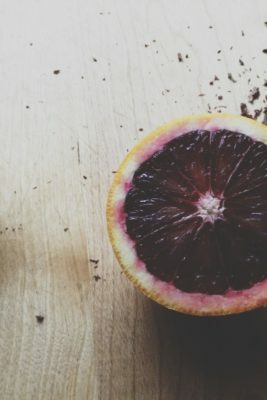 This post by Local Milk (also featuring a recipe of Izy’s) is beautiful. I signed up for 21 Days to Lean + Green. If you haven’t checked out Sherrie’s site, please do. It’s a great space. Preheat the oven to 350. Line, grease, and flour a deep 7-inch cake pan. Melt the butter in a medium saucepan. Remove from the heat and stir in the rest of the ingredients until completely combined. Pour the mixture into the prepared cake pan, and bake 20-30 minutes (the cake should be set around the edges, but still gooey in the center). Let the cake cool in the pan for 20 minutes, then run a blunt knife around the inside edge of the tin to loosen it. Turn out onto a wire rack, dust with the powdered sugar, and serve warm. Such a stunner. This cake looks like a giant crinkle cookie!! Ah, isn’t Izy’s book beautiful? I’ve not yet made this recipe but it’s on my list – can highly recommend the pancakes I posted, the BBQ chicken, the granola, pecan buns and wholemeal coconut oil pastry! Such a gorgeous book and such talent. I have already ordered Izy’s book. I am sure it is fantastic. And I can’t wait to have it my mail..
Oh, this cake sounds perfect! I love a good, rich, simple cake like this. 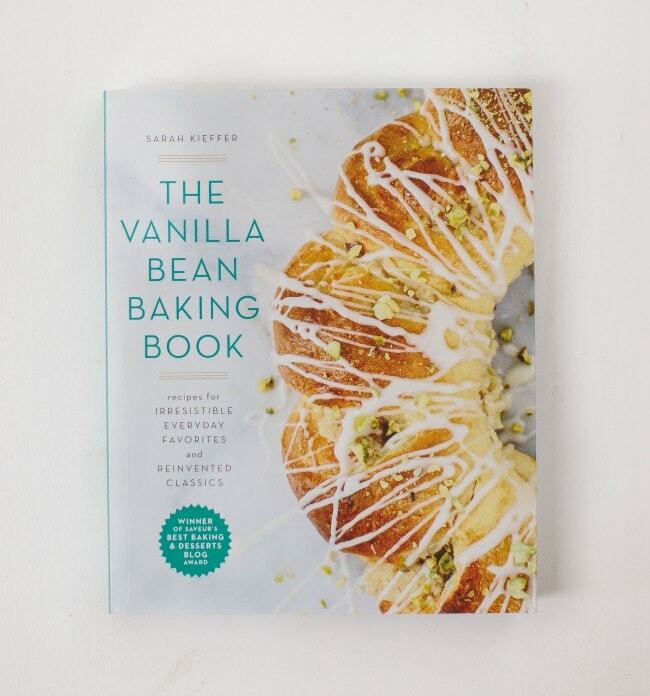 I’m so excited to cook from Izy’s book – she’s such a talent! I love that you sit down and go through cookbooks with your daughter! I used to do that all the time with my grandmother and they were some of my most cherished moments with her. Gorgeous cake too! That’s so sweet that the two of you look through cookbooks together. I should really start doing that with my nieces and nephew. Love the look of this cake. How it crackles… gives it a nice rustic feel. i have been eyeing this cake!!!!!! it looks soooo good. i didn’t realize it was one bowl. how perfect is that! i love your little cookbook ritual 🙂 that is so lovely. Looks stunning. And as I’m Swedish I’ve had my share of those and consider myself quite an expert (at least in eating them). In Sweden we call them kladdkaka (sticky cake). It reaches perfection only accompanied by whipped cream. myriam | rhubarb! rhubarb! rhubarb! What a fun thing to do with your daughter! I love that Izy’s book has your daughter’s seal of approval — that’s one of the ultimate seals of approval. that cake looks insanely good. your daughter is so adorable and your photos and story about cookbooking together are the sweetest. such gorgeous photographs! that shot of your daughter is just lovely. This cake is called kladdkaka and is a very popular cake here in the north, not only in Sweden where it’s originally from. So good, especially with a dollop of whipped cream! Can’t wait to get Izy’s book! She is amazing. can’t print the recipe……why not? Hi Mary Ann – sorry you can’t print it! 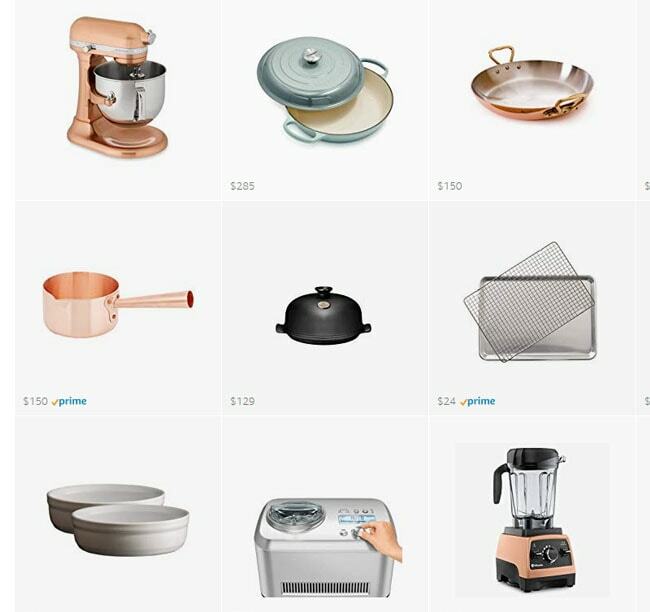 Getting my recipes printable is on my to-do list, but hasn’t happened yet. I’m working on it! Åh kladdkaka! This is The swedish cake! 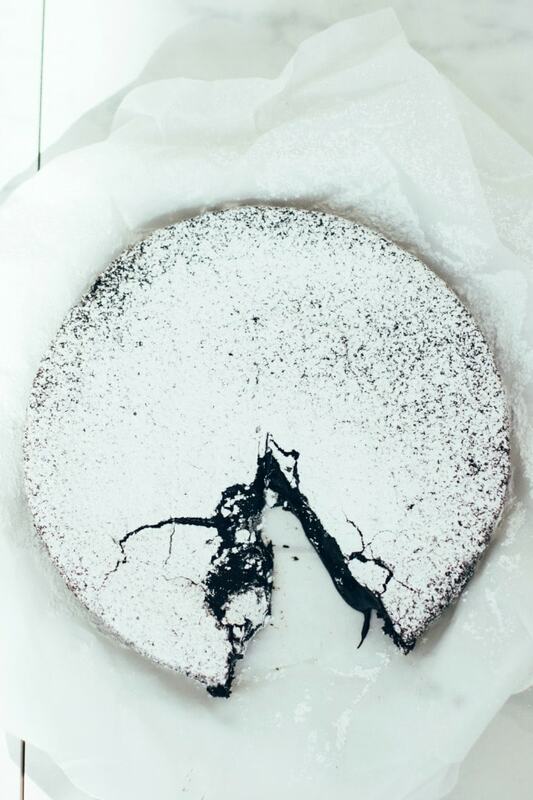 We (some of us) also celebrate National Kladdkaka Day November 7th every year. So great timing. It looks sooooo chocolate-y. How can you not want to add ice cream to this. 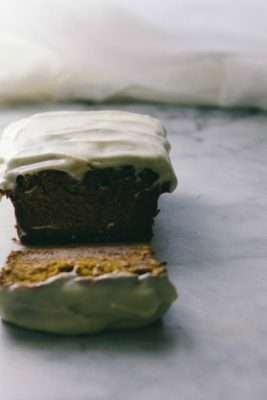 i remember flipping through my mom’s cookbooks when i was little – i was a sucker for any book with a recipe for brownies, so my mom would give me a post-it to mark it and i remember it was just about the best feeling. so, needless to say, your tradition of looking at cookbooks together is so sweet. i can’t wait to get a copy of Izy’s book; every recipe i’ve seen looks and sounds delicious! 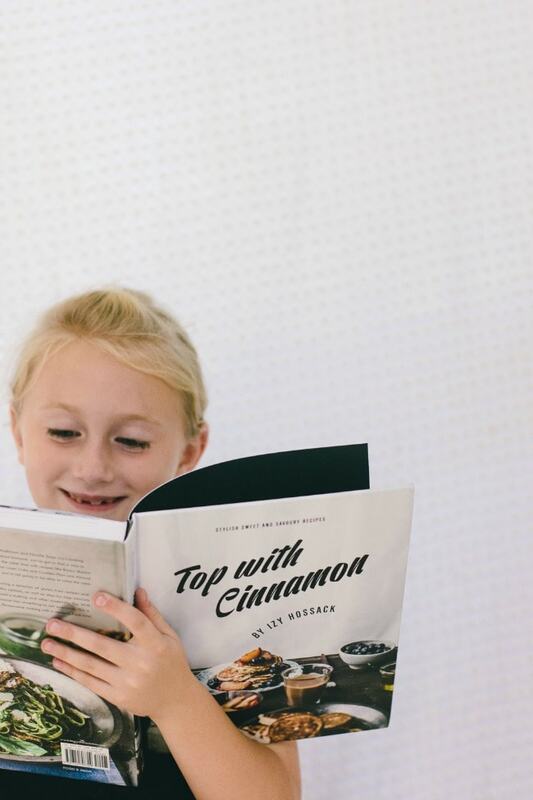 That is so sweet that you and your daughter get to read cookbooks together, that is something I would do with my little sister. Such great bonding time!! Love Izy and this cake. I almost made it for my post, but then saw yours and went with another delicious recipe. This is next on my list though! Wonderful recipe! As usual your posts are always my favorites :-). Izy’s cookbook looks so beautiful with all those perfect pictures. 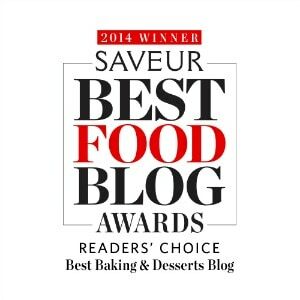 That cake is mouth-watering and makes me want to run to the kitchen and turn on the oven! 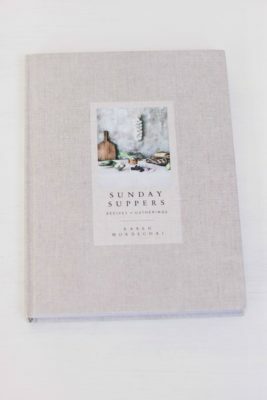 Wonderful recipe, but more than that I love your connection to your daughter and introducing her to cook books. That is sooo sweet. Wow, what an exquisite cake and a great introduction to Izzy. Thank you! I am going to bake this for sure! 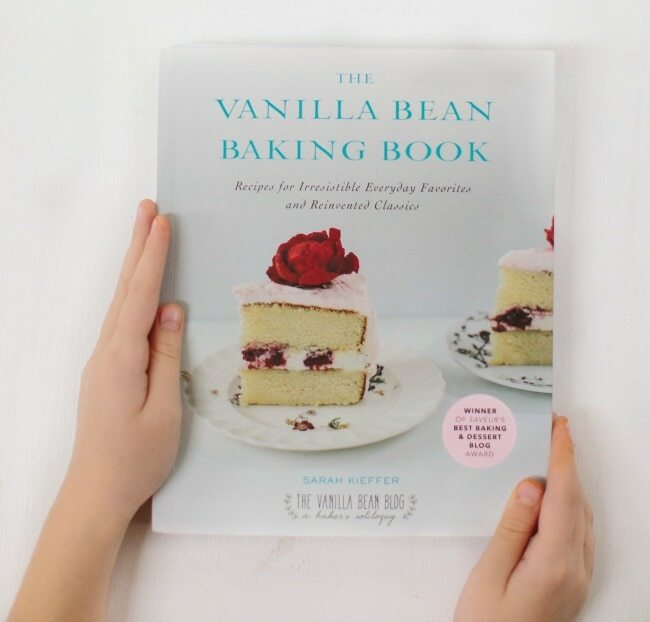 Nothing quite like curling up on the couch with my daughter and a new cook/baking book. Great moments! I’ve been seeing that cookbook lately, and am on my way to the bookstore after work to pick myself up a copy! And wow does this cake look amazing!! I love this cake and I can’t wait to make it! I love chocolate but it looks very different and unique , i will try it for sure . Thanks for the recipe. 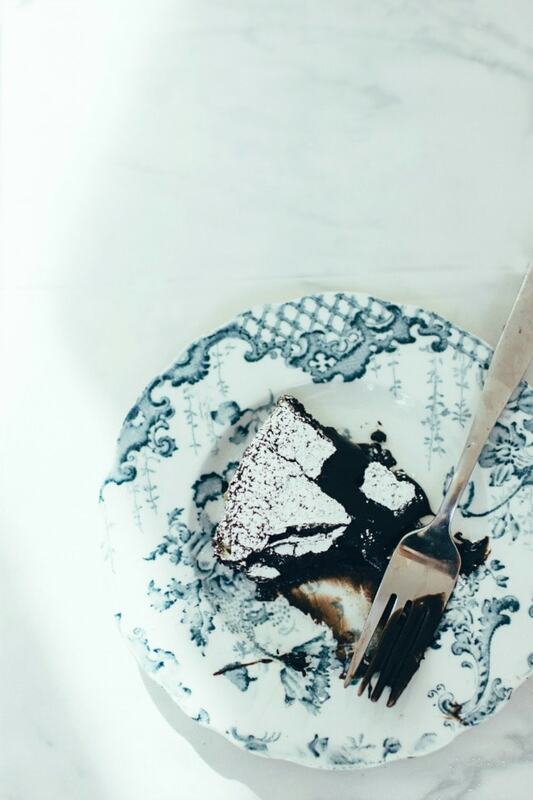 This sticky cake looks DEVINE, and what beautiful pictures! Thank you for sharing!! 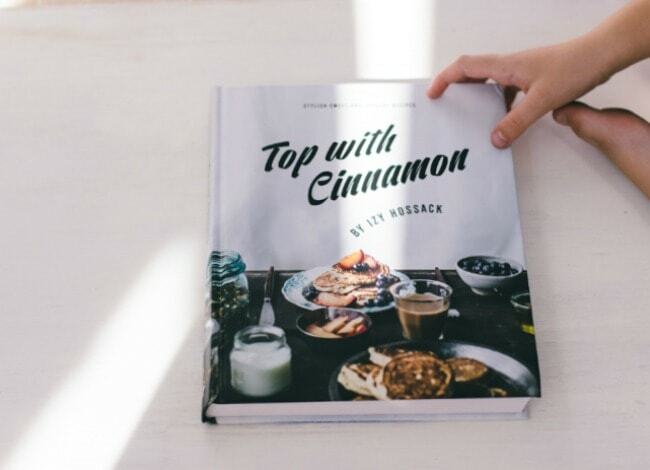 I love Top with Cinnamon and will have to check out Izys book as well???? Followed this recipe to a T! When I went to flip it over on the cake tray it all started oozing out everywhere! I cooked it for around 25 mins, did I just not cook it for long enough? Hi Sheree – I’m sorry you had trouble with the cake! It’s possible the sides didn’t set up enough, and maybe the cake needed to be baked a few more minutes. It is a very gooey cake though, and oozes everywhere once it is cut into. I’m sorry that isn’t much help! 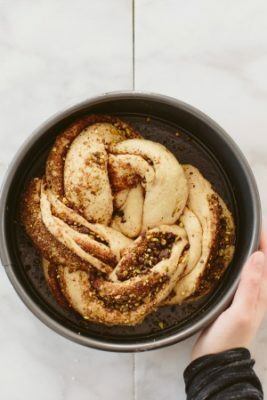 You could hop over to Izy’s blog (Top with Cinnamon) and ask there – it’s a recipe from her cookbook, and she’s made it so many times, she may have some better tips! 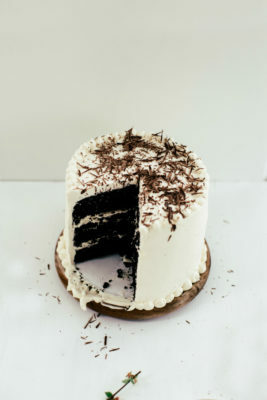 Thank you for sharing such a amazing cake recipes its look unique and delicious, i am sure i’ll try on special occasion.